Heard Rob Ryan got hired so I Called the Redskins myself. They said NO for now and they’re at 90 man Roster. Well - not sure what to make of this tweet from Junior. My guess is Preston is going to be way too pricey in free agency for what he brings to the table. And, I think Anderson opposite of Kerrigan will do a fine job in edge setting. Perhaps for veteran minimum and incentives, Junior could be brought back to provide some pressure from the edge. Interesting that Junior wants to reunite with Ryan, yet Zach Brown - who plays ILB and played for Ryan in Buffalo in '16 - has, I think, been silent since the hire. Perhaps there is no way either Galette or Brown will be back in '19 - and I'm not advocating that either be pursued just yet. Would be much more interested in making that decision after the Draft and the designated June 1st cuts. Junior wanted in before Ryan. He just wants in. I think he played a bad hand last year and regrets not taking what was offered. Either him or his agent (or both) screwed him. I wish we would just sign the dude. Instant upgrade in the pass rush. With Preston Smith all but gone, we need a guy that can rush the QB and cover. (Anderson can play the run.) While Junior can rush the QB, his cover skills leave a lot to be desired. I am not so sure Junior has a role here anymore, with or without Rob Ryan. Junior costs nothing and is as good of a pass rusher as you will find in free agency. You don't have to sign him as a starter. Do you anticipate anyone being available in free agency who can cover and apply some pressure? Going to be interesting if such a player can be added - if not in FA, then in the Draft. I would sign Junior. He messed up last year but he can put more pressure on QB's than Smith. Smith is probably better against the run. Said last year we should have re-signed the guy, he was willing to play for vet minimum after his agent screwed him over, nothings changed, especially with Preston Smith about to walk. One point though, he won't be being coached by Ryan. Grimm will be his coach but Junior played well for the Saints when Ryan was his DC. Not sure that means anything at this point. Just get Junior back in the fold ... on vet minmum benefit contract. Junior will be cheap that much is certain....but can we actually use him? In this Draft do not be surprised if we draft two edge pass rushers that can play at this level. This Draft is super deep in edge players and Ryan Kerrigan will need to be replaced soon enough too.. In this Draft do not be surprised if we draft two edge pass rushers that can play at this level. This Draft is super deep in edge players. At vet minimum, with very little to no guaranteed money, where's the down side to signing him now? Not much Pre-Training Camp. He does not count against the Cap being a veteran on a minimum deal so he is basically free to make the team. Since he has been out of Football for a year you would need to get him in now if you see a utility for him and get him in sync. I don't see a roster spot for him but as you say, there is no down side. Given we've yet to replace Smith or McPhee (both UFA"s) and the jury is still out on Anderson as a pass rusher, I think he's got a good a shot as anyone to make the team at this point in the offseason. If we don't bring in more than one pass rusher via the draft (if any), and he shows the form he did at the end of 2017 after fully recovering from his injury, he'd be a heavy favourite to make this team (if signed). I dont know who will cover from the edge position. Rob Ryan is ILB coach. Not sure how much of a difference this makes to Junior. Maybe Ryan will have input on how to use him? Nevertheless, we need cheap players. Ryan represents a certain coaching mentality and attitude. I doubt he would be here if he or the team felt that his style and passion were going to be incompatible with the players or other coaches. So I suspect that Galette is using the Ryan hire as a gauge of the type of defense we will be fielding. Galette’s best days are behind him. 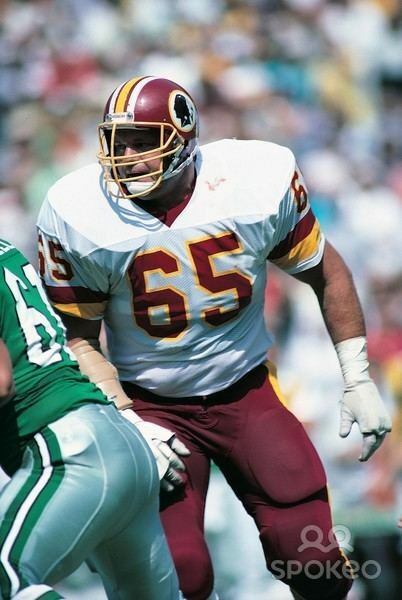 He was not better than Preston Smith when he was here nor would he be now. Time to get some youth in here. He would just get hurt again and take a spot we could use to develop a young guy. I give a hearty hell no! He was coming off a severe injury in 2017 and was still near the top of the NFL in pressure rate. Agree to draft an edge rusher, no issue there, but Galette provides more from a pass rush perspective vs his contract cost than anyone else available, including Smith. Kerrigan, Anderson, Galette and a rookie? Sounds ok to me. ....and thats if Kerrigan isn't traded. You just like him cause he is cheap. Lol. I’ll take Kerrigan, Anderson, and a rookie. It’s time to see what we have with Anderson and Gallette would just steal pass rush opportunities from him. He is a one trick pony and no good vs the run. Well that shows you didn't read what I wrote then. The guy was among the top NFL pass rushers in pressure rate in 2017 when coming back from a severe injury. He has said he will sign for vet minimum to prove himself. Also Anderson will start because we have to see what we have, and Galette will be a pass rush specialist/backup. There's NO down side here. And wouldn't his cap hit be even less than his vet min salary? The only downside is we would have to cut someone to make room for him, but that should be easy enough. I think it's at a point that once you tick off Allen, even at minimum he won't be back in a Skins uni.. I'd love to have him back at vet minimum and he'd be a steal on a 2 year deal but as mentioned I think Allen is over Junior. Actually I was just agreeing with you on starting Anderson, but why have an old pass rush specialist taking up space on our roster. And how would we know if Anderson is any good at it if he has to sit on third downs? The down side is he is old, often injured and would take a roster spot we could use to develop a de with a future here. Actually I want young guys and value for money vets to fill holes. If you read my cap preview, you would see I'm all for dumping/not re-signing guys who's performance doesn't meet current or prospective contracts and getting more young talent on the roster. We can draft a young rookie edge rusher and have Galette on the same team. That helps both our production, cap and future. We carry 4-5 of them so its not like Galette is taking someone else's place of note. Everything aside, it’s refreshing to have a player that really wants to be a Redskin. Vet min; I’d give him a contract today. What’s the downside? He would not be stealing anything from anyone if he makes the team he would earn it; if he sees the field 10 snaps a game he will have earned those snaps. We only have so many draft picks and more holes than the amount of draft picks with little cap so we will have to fill out the roster w get min guys. Galette seems as good a choice and any others likely to be available much less want to play here. Didn't we have this entire past season to see what Smith bought to the table....in a contract year? With a 90 man roster, sure we could find someone to cut to make room for Galette. To me this is one of those no brainer moves....unless, as someone mentioned, he as pissed off the wrong people and that will carry the day. But heck, weren't we also just trying to see if GW would come in for a talk prior to his signing as Jets DC? And even though Ryan may not be his direct coach...Ryan knows how to deploy and utilize him in his schemes....some of which may be incorporated in what I see a 2019 defense that will have some schematic differences from the past couple of seasons. With 2 former DC's on staff now, a lot of experience there that can potentially be drawn from. I know you do, PC. I did read your plan and loved it, wish the team would actually follow it. And conversely I’m not totally against signing older vets to fill a hole. But that is my last resort when I can’t find anyone else. Roster spots are as precious as draft picks imo. I’m not a fan of an older player sitting on the bench either. I want someone gunning to start. A good example has been Neskhe. I’m not against him being the swing tackle, he has helped us a lot when TW was injured especially, but how much better we would be today if we had drafted an LT to take his place years ago. It’s early in the season, no one else wants gallette anyway. Let’s see what we can find and if there is no one else then fine. But I’m quite sure we can find a project or someone with potential to groom instead. That’s all I’m saying. Gallette did nothing here. Pass and draft someone to develop in the mid to late rounds.